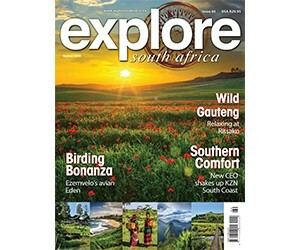 Explore South Africa magazine showcases Southern African tourism products and services (including corporate) for both the domestic and international tourism trade, providing clients with direct exposure to upmarket business and leisure travellers as well as foreign investors moving in and out of the country. The publication promotes South Africa as a quality holiday and business destination with content around business tourism, leisure & adventure travel, heritage and culture, health & wellness, sustainable tourism and stories from elsewhere in Southern Africa. Please direct any enquiries regarding Explore South Africa and this website to greg@capemedia.co.za.